Today was the last day of Track team practice for 2015, and from 52 athletes in March I'm down to three. 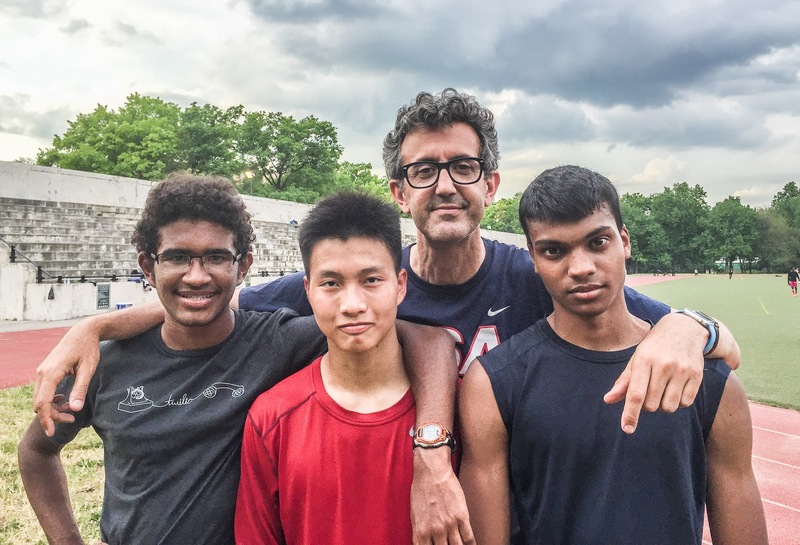 These amazing guys qualified to run in the New York City Track & Field Championships this coming Sunday and are my pride and joy: Austin Carvey will be running the 400 meter hurdles, Wayne Chim will be doing the long jump, and Lucian Ramnarase will be running the mile. All have braved bad weather, fierce competition, and the occasional bit of self doubt to become among the best runners in the largest city in America. It's been a privilege to have coached them.